It’s a bad day in the world of canning when you pull out your stored canning jars and find that little critters have made a home in them. I have seen spiders, their webs, and shells of their meals inside dusty canning jars. I have even seen mice nesting inside canning jar boxes and using the jars as toilets. Gross! It’s hard to picture canning beautiful canned goods in these jars after seeing these images. So, how do you avoid this? 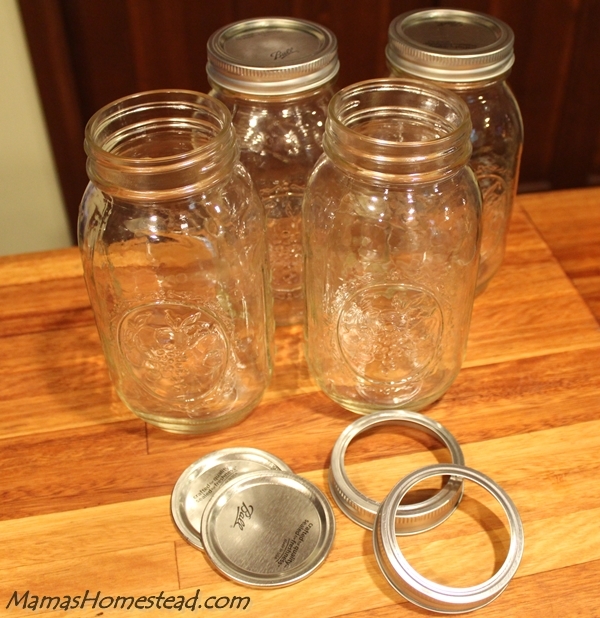 What is the ideal way to store empty canning jars, lids, and rings? 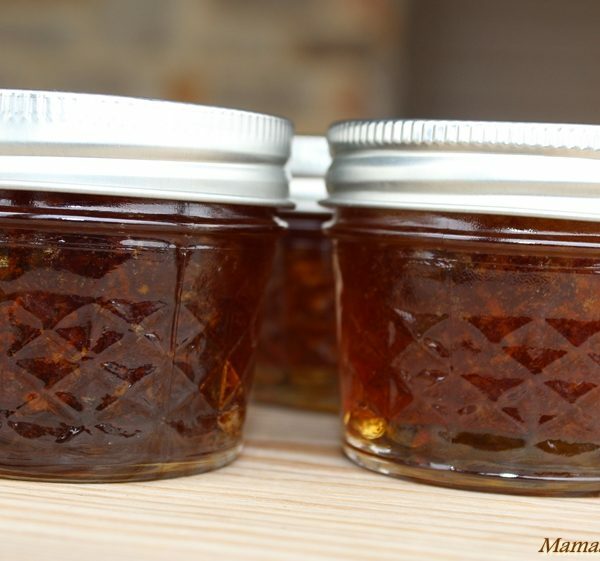 Wash and dry your canning jars before storing them. 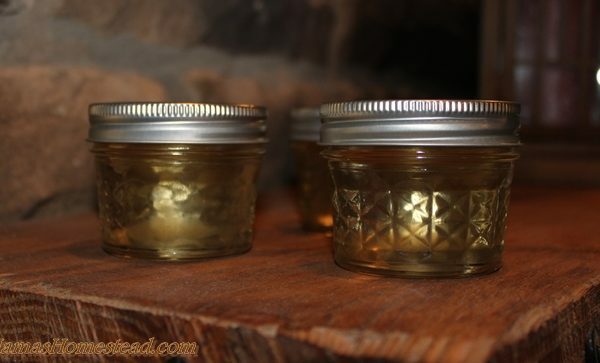 Any food residue left on the jars may attract insects/critters. Store canning jars in a place where you don’t see insects. Crawl spaces, unfinished basements, and barns are usually not a good idea. 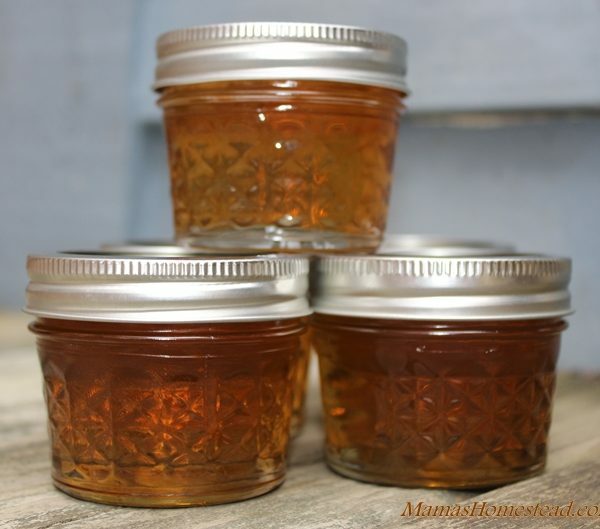 Store your canning jars in a clean, cool, dry place with good air circulation. In a pantry, closet, or under a bed is ideal. Store jars upside down in their original boxes. 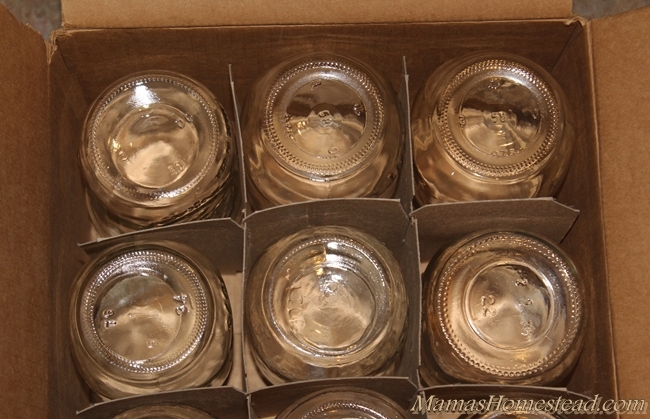 Some canning jars come in boxes you can re-close for storing. 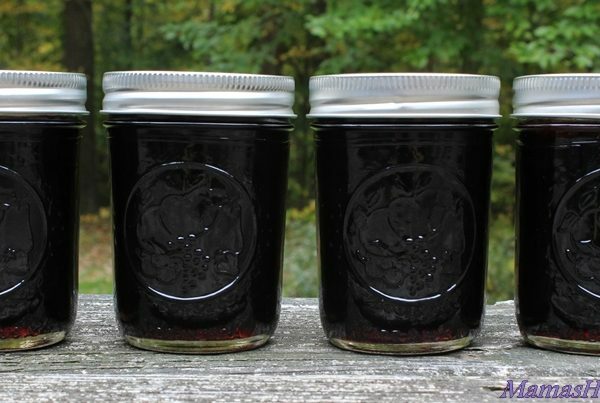 If you’re not storing your jars in a crawl space, unfinished basement, or barn, this is a good option. Insects love to eat cardboard and the glue holding it together, so place a bay leaf or three in each box to help keep the insects at bay (pun intended), bay leaves naturally repel most insects. If you are storing your jars in a less than optimal location there are containers specially designed for storing canning jars. Clear plastic storage containers work well too. This allows you to see the contents in the tub and tell what types and sizes of jars you have. Place the same type of jars in each tub, place the jars upside down with a few bay leaves in each tub, for similar reasons as listed above. Do not stack the jars directly on top of one another to prevent chips and breakage. If you need to stack more than one layer of jars, be sure to place a piece of cardboard or Styrofoam between each layer. 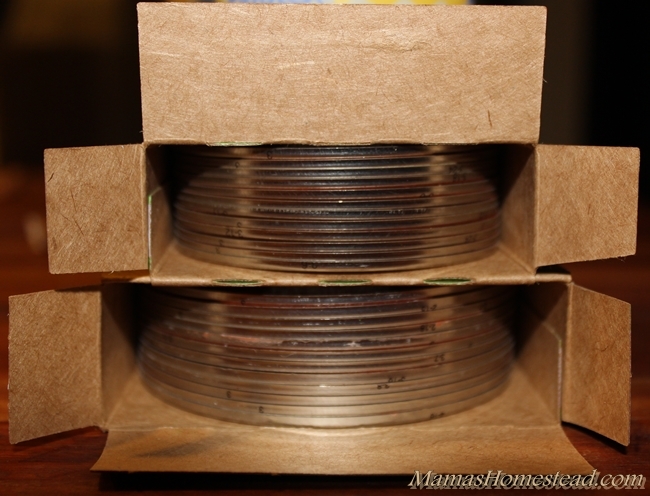 Store lids and rings separate from your canning jars. Store canning lids in their original containers in a clean, cool, dry place. Rotate, using first in-first out method. Dispose of any canning lids that are damaged, rotted (rubber seals), rusted, or dented. Be sure canning rings are clean, dry, and free of food particles before storing them. Food particles may attract insects and other critters. 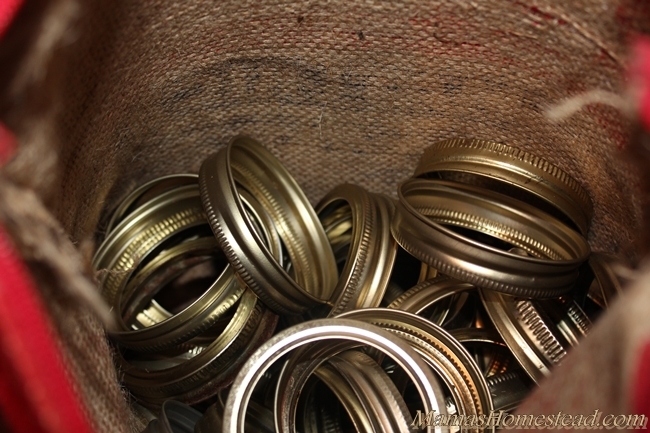 I store my rings/bands in a burlap bag (a bag rice might come in is a good choice). This keeps them from rusting and keeps them dust-free.